Top the Yule log with toasted coconut to celebrate snow falling during the winter. 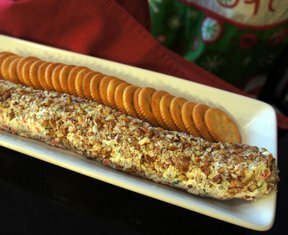 The log of cheese is covered in green and red to celebrate the christmas colors. Spread out the crushed green pistachio nuts on waxed paper. Roll the log of goat cheese until it is covered with nuts. Lightly pat the nuts in over the log of cheese. Spread out the dried cranberries on waxed paper. 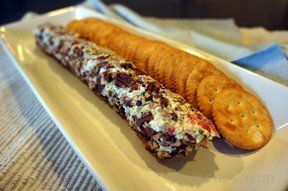 Roll the log of nuts covered goat cheese. Pat the cranberries into the log. Sprinkle the goat cheese with coconut. 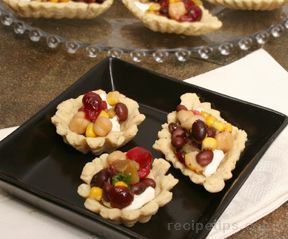 Place on a plate and sprinkle the plate with remaining nuts, cranberries and coconut.